With a blizzard pounding the northeast, now is the time for a good book by the fire. 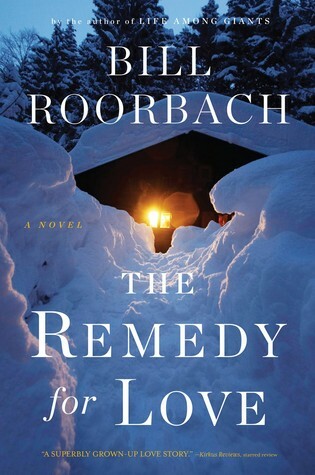 The Remedy for Love by Bill Roorbach captures the beauty and the menace of a Maine winter. The title comes from a Henry David Thoreau quotation: "There is no remedy for love but to love more." This romantic thriller has literary panache. 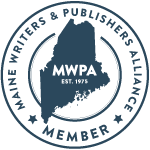 Roorbach's novel opens as the storm of the century approaches Maine. Eric is shopping for a gourmet meal to win back his estranged wife. The line is held up by a smelly misfit who doesn't have enough money to cover her basic needs. Eric puts down a twenty and offers Danielle a ride home. By the time Eric has hauled water from the icy river and split logs for Danielle, his car has been towed away with his cell phone inside. The snow is coming down hard. He's now stuck in a summer cabin off the grid with a deranged woman who doesn't want him or his pity. I enjoyed the characters despite their sizable flaws: macho Eric was smugly judgemental but generous and crass Danielle was mentally unstable but surprisingly smart. "You grin at me, even when I'm, like, clearly f***ing desolate. And when I'm...? You grin. You're trying to look harmless but you're hiding this fat aggression. It's a little sick. You're grinning now, mister. It's like looking at double exposure - you want to show how friendly and nonthreatening you are, but at the same time you look like you're about to bite me." The blizzard was a character in itself, sliding the cabin off its foundations as Eric and Danielle lose their grip on all that had anchored them to their disappointing lives. The only character who wasn't convincing was Eric's estranged wife. She seemed too ordinary compared to Danielle's soldier husband, who added another layer or menace, lurking in the backstory. The ending had a good plot twist. Remedy for Love is a psychological thriller, a literary romance and a social commentary on America. In backstory, the narrative covers the travails of small town law and the horrors of the war in Iraq. 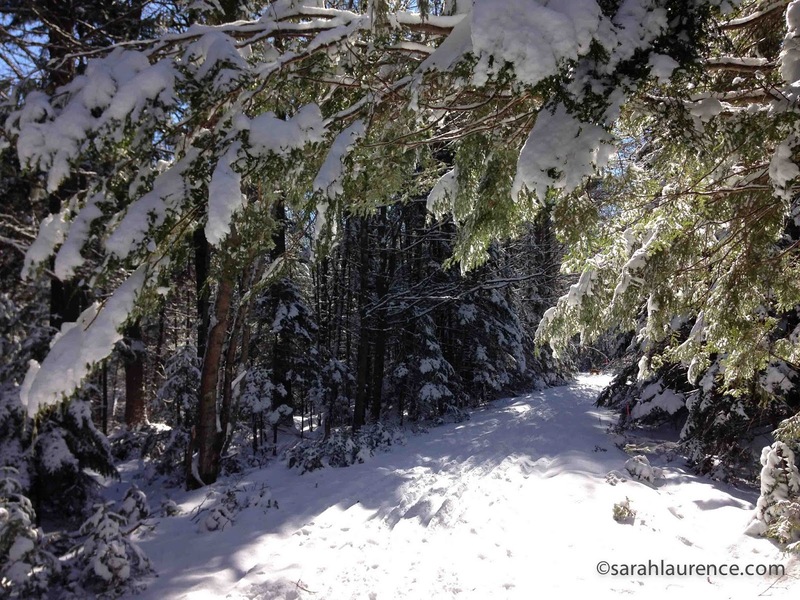 In front story, life is condensed into the claustrophobic confines of a log cabin. Although the writing was often beautifully evocative, some descriptions were too raunchy for my taste. I liked the novel best as a survival story and as a portrait of Maine. Roorbach clearly knows his stuff. After reading this book, I feel better prepared for the storm. If I'm not online, I may be tending our woodstove or plotting our escape. Reviewer's Disclosure: I've posted early (while I have power) to synch with the blizzard, but this review will be part of Barrie Summy's blogger book review club (link below) on February 4th. 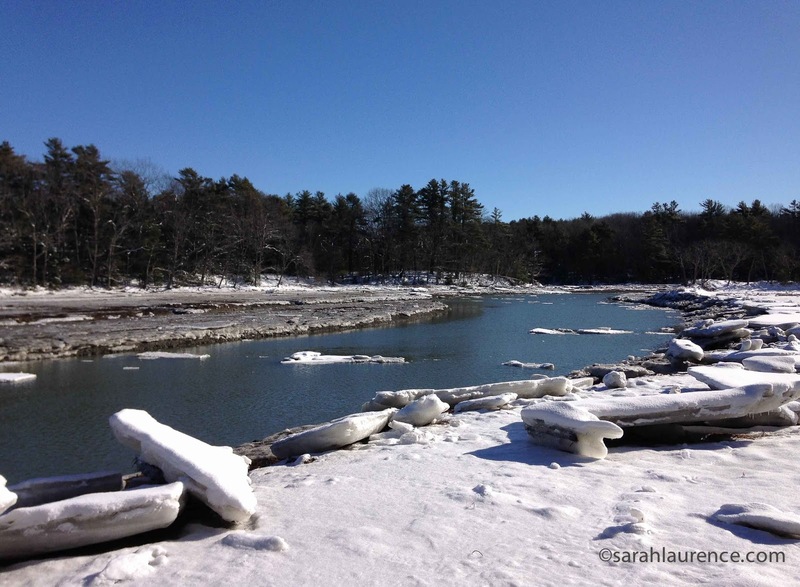 I took the photos on Sunday while skiing at the old Brunswick Naval Air Station with my daughter. This 2014 book was a Christmas gift from my husband, purchased at Longfellow Books in Portland. I'm sorry to report that Stuart Gerson, one of the bookstore's founders/owners, died last week. "The sun out there was warm, but the breeze, damn, the breeze was sharp like broken glass." We trust that you are now post-blizzard and that all is well. We have followed your advice before on book reviews and we shall definitely be following this one up too. Although we have no snow here in Budapest, the weather is bitingly cold so a good book to read in the warmth of home is definitely a winner at the moment. This seems like a good time to thank you for recommending Sarah Walters. We have now read more than one of her books and she does not disappoint. Don't you just love to read books that correspond with the weather outside? Magic. Interesting how art imitates life. Stay safe and warm! My favorite thing to do while a warm storm rages outside--read a good book! 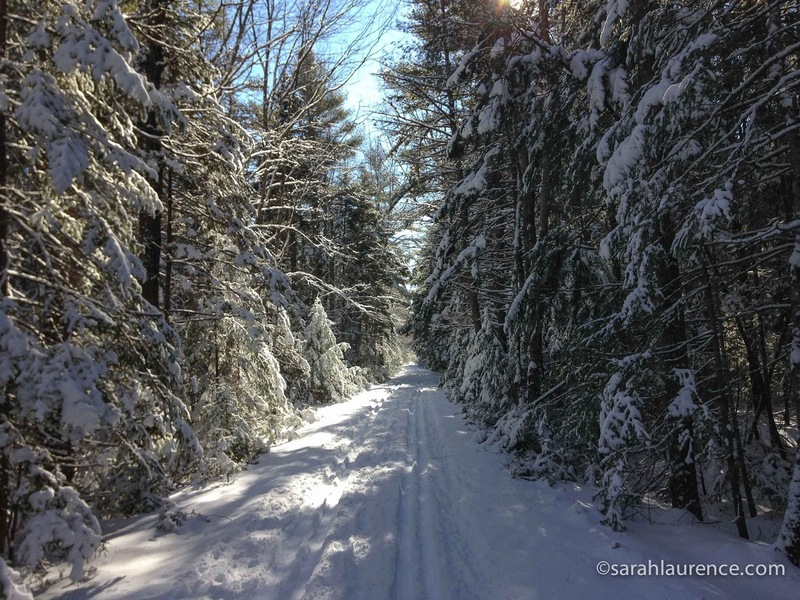 Your photos always make winter in Maine look so appealing. Stay safe and warm! Excellent commentary on the book. I was amazed at your fabulous photos. aww I love reading with a fire!! For this I love autumn/winter!. BTW This summer I had read a lot!! And really enjoy! 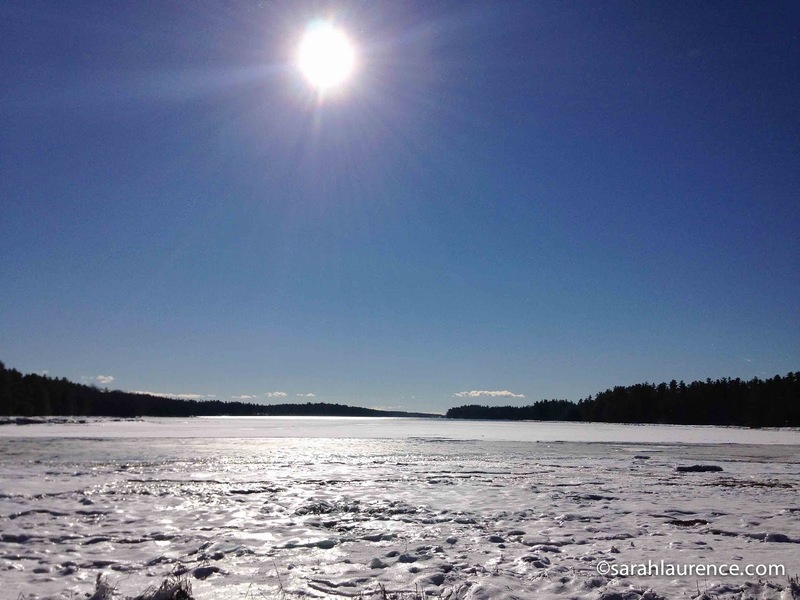 Love your review Sarah and love your pictures!!! Well I might read this. I am in two minds, as perhaps you were. The older I get the less time I am prepared to give to books that don't move me. I always always used to finish any book I started. These days I find myself cheerily setting aside a book which isn't speaking to me. For a while I felt uncomfortable with not seeing something through. Now I think that's ok. But as life foreshortens, how to balance new experiences with good experience? Go with your gut I suppose. It's on my list. Love the photos and the review! And the timelines with your storm(s) and the book's storm. I was thinking of reading this author's Life Among Giants, but may read this instead. Thanks for the review! GREAT photos and review--the author's name is familiar but I don't think I've read anything by him. Going to check this one out. Thanks! Anything to do with Maine and I'm hooked. (And the photos are amazing!) This sounds like a great cozy-in-front-of-the-fireplace-during-a-blizzard read! Your photos really enhance your wonderful review. I might just pick this one up. Jane and Lance, I’m so pleased to hear that you are using my reviews to find books and I appreciate that you shared your reaction. Sarah Waters is brilliant. Pamela and Gloria, yes, I do enjoy books that match my surroundings, but now that I’m tiring of winter maybe I should try a summery book. ACIL, the social commentary was inferred, but I suspect it was intentional since the author chose characters who represented different socioeconomic classes: the well educated social minded lawyer; the college dropout who fell on hard times, and her soldier husband who witnessed the horrors of war. Amanda and Rose, thanks for your warm wishes. Joseph, thank you and welcome to my blog! Elizabeth, I was ambivalent about this book at first, but I’m glad I read to the end. I’d love to hear your reaction. Barrie, thanks for hosting! It has been interesting hearing your reaction to this book in our emails. Cynthia, thanks! This was the first book that I’ve read by this author. Troutbirder, I hope it’s not too rough of a transition.